National Sugar Institute Kanpur carries out original research of significance and technology development at the cutting edge. It imparts training for students to make them competent, motivated engineers and scientists. The Institute not only celebrates freedom of thought, cultivates vision and encourages growth, but also inculcates human values and concern for the environment and the society. The Institute awards Certificate, Masters and Doctoral degrees in various branches of technology and science. It has been making special efforts to recruit talented faculty on a world-wide basis and to admit bright students from all over the country by a online selection process. The Institute has one of the finest scientific & technological staff with an information retrieval system over the campus. (1) To provide technical education and training in all branches of sugar chemistry, sugar technology, sugar engineering and allied fields. (a) Problems pertaining to sugar technology, sugar and sugarcane chemistry and sugar engineering in general and those of sugar factories in particular. (b) Utilization of by-products of sugar industry. (3) To give technical advice and assistance to sugar factories with a view to improving their efficiency and to assist and guide them in their day-to-day problems. Assistance is also provided to Central and state Governments in matters relating to sugar and allied industries. All these functions are carried out in an integrated manner, each one helping and influencing the other. The advisory and extension services bring the problems of the industry for research at the Institute. The research requires keeping abreast with modern developments and recent advances in science and technology. The close and continuing liaison between the Institute and the industry and the day-to-day knowledge gained through research give a practical base to the teaching and keep it up-to-date. These three functions- teaching, research and advisory make the Institute a unique one in the world. National Sugar Institute has a very old history laying its root way back in 1920. The climatic Conditions of the subtropical region and the area under cultivation encouraged the British Indian Government to promote the Sugar Industry in India which further resulted in the formation of Indian Sugar Committee. The committee recommended for an All India Institute for research in the field Sugarcane and Sugar production in 1920 which was further commended by the Royal Commission in 1928 & tariff board in 1930. 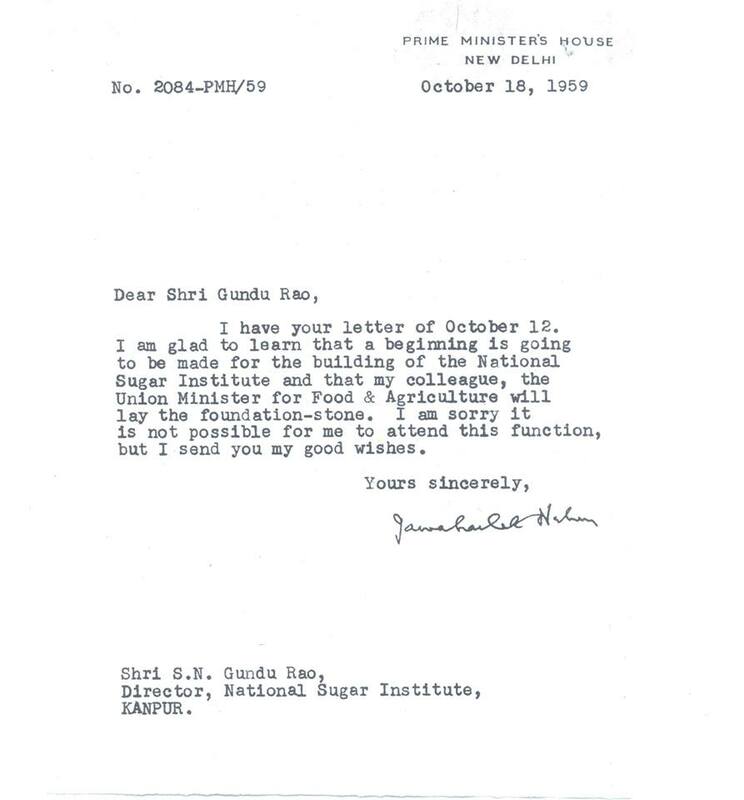 On the basis of the above recommendations, Government of India, overtook the Sugar Section of HARCOURT BUTLER TECHNICAL INSTITUTE, Kanpur and established IMPERIAL INSTITUTE OF SUGAR TECHNOLOGY, Kanpur in October, 1936. 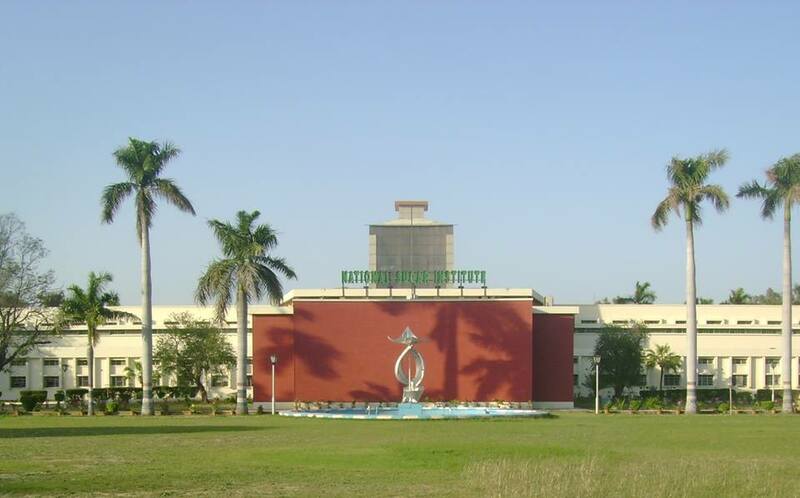 The Imperial Institute of Sugar Technology was placed under the administrative control of the Imperial Council of Agricultural Research located in the campus of HBTI, Kanpur. Upon the formation of Indian Central Sugarcane Committee in 1944 the administrative control of the Imperial Institute of Sugar Technology was transferred to the said Committee. 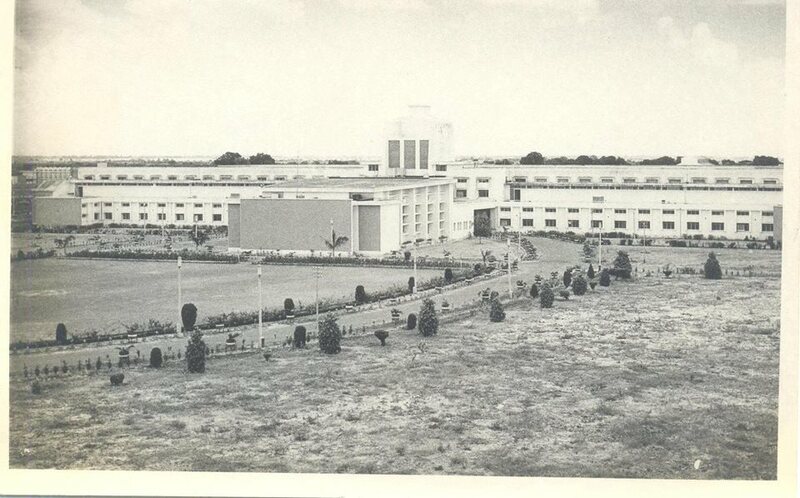 Consequent upon India's attaining independence in 1947, the name of the institute was changed from Imperial Institute of Sugar Technology to Indian Institute of Sugar Technology (I.I.S.T.). With the formation of the Development Council for Sugar Industry under the provisions of the Industries (Development and Regulation ) Act, 1951, the functions of the Indian Central Sugarcane Committee were abridged with effect from 1st January, 1954 and the administrative control of the Institute was transferred to the Government of India, under Ministry of Food & Agriculture.